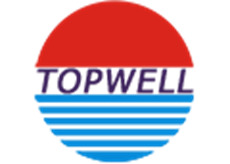 Topwell specializes in plastic mould and die casting making, we provide various plastic molding parts and die casting parts for clients from Germny, USA, UK, Spain, Italy, Russia and so on. We are focus on the high quality with the competitive price. Looking for ideal Plastic Injection Mould Manufacturer & supplier ? We have a wide selection at great prices to help you get creative. All the Customized Injection Plastic Mold are quality guaranteed. We are China Origin Factory of Mold for Medical Device Parts. If you have any question, please feel free to contact us.